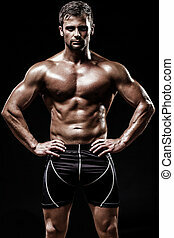 Athletic young man on black background. 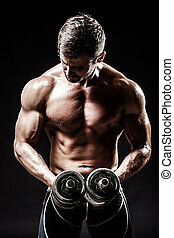 Athletic young caucasian man in studio on black background. 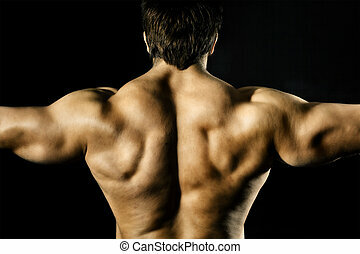 Handsome bodybuilder man posing isolated on black background. Serious man in blue jeans preparing for building competition. Close up Handsome Athletic Army with No Shirt Crawling at Sea Water While Looking at the Camera.